June 01, 2017, 3:50 p.m. 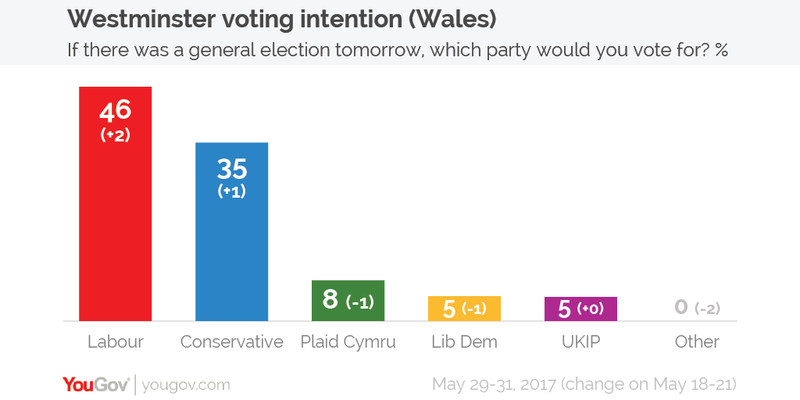 The latest YouGov/ITV Wales poll of Welsh voters shows Labour on 46% and the Conservatives on 35%. Elsewhere, Plaid Cymru are on 8%, the Liberal Democrats are on 5%, UKIP are on 5% and votes for other parties are on a statistical 0%.